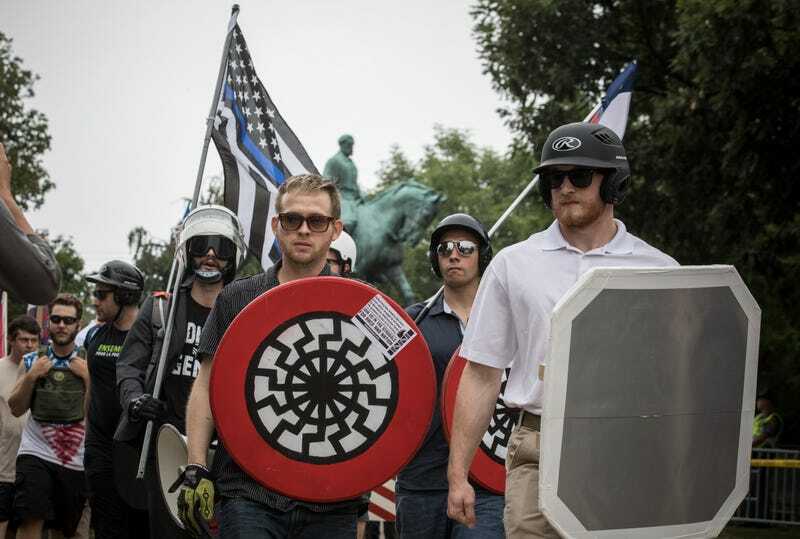 ‘White Lives Matter’ Rally Planned for End of Month in Murfreesboro, Tenn.
Organizers from several white nationalist groups have applied for permits to host a “White Lives Matter” event on the Rutherford County Courthouse lawn on Oct. 28 in Murfreesboro, Tenn. The National Socialist Movement—a white nationalist group based in Detroit—along with allied groups including the League of the South and the Traditionalist Worker Party, will host the Murfreesboro event as well as another in Shelbyville, Tenn., the same day, according to the Daily News Journal. Rutherford County and Murfreesboro city officials confirmed Monday that the permits had been applied for. Officials are scheduled to meet Tuesday to make a decision as to whether the groups’ request meets city and county guidelines and the event can be approved. We have to be very thoughtful about their rights and our citizens rights here, and what we’d need to do to properly manage this [event]. We’re still working together and having some serious discussions about how we can manage this. We’ll do our very best to do the right thing. Murfreesboro Mayor Shane McFarland told the newspaper that local officials are “taking this matter very seriously” to prevent the type of violence that occurred at a white nationalist rally in Charlottesville, Va., in August, when 32-year-old Heather Heyer died after being hit by a car that plowed into a crowd of counterprotesters. According to the Journal, this isn’t the first time white nationalist groups have chosen Murfreesboro and Shelbyville as venues for their rallies. In October 2013, the League of the South had demonstrations in both cities on the same day. Ferry, however, sees it differently. He told the Journal that he has already seen flyers from the hate groups circulating on the campus of Middle Tennessee University, something he finds troublesome. “These groups are coming to Middle Tennessee under the guise of protesting the removal of Confederate monuments, the resettlement of refugees and more. Their true purpose is to spread hateful rhetoric and encourage violence against any that are not a part of their master race,” Ferry said. Meanwhile, self-described “antifa” activist Corey Lemley told the paper that he has been actively posting on social media to encourage counterprotesters to show up to the rally at the end of the month. And if that’s not enough, a Love Your Neighbor Picnic is scheduled for the week before the white nationalist rally. Read more at the Daily News Journal.